Explore an island full of adventure. Is there a better alternative to Sarah Maribu and the Lost World? Is Sarah Maribu and the Lost World really the best app in Adventure category? Will Sarah Maribu and the Lost World work good on macOS 10.13.4? Sarah Maribu and the Lost World...Sarah Maribu is off to explore an island full of Dinosaurs! After her grandfather tips her off to this ancient land, Sarah is off on a wild adventure! Upon arrival, her husband Michael goes missing and must be saved! Track down the dinosaur-worshipping natives and get Michael back! 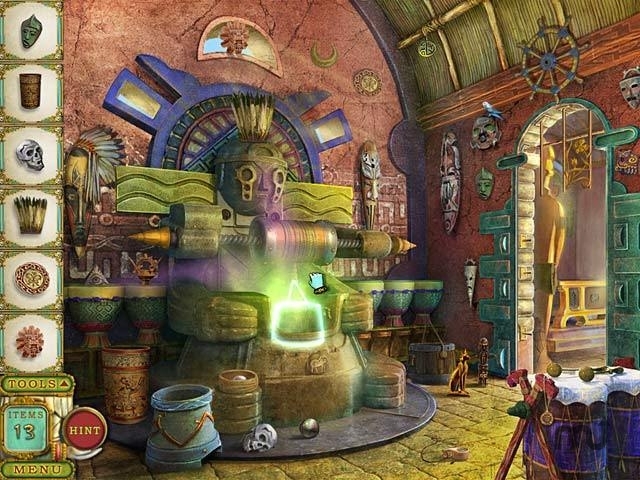 Collect incredible treasures and explore a mysterious island full of puzzles and Hidden Objects, in Sarah Maribu and the Lost World. Sarah Maribu and the Lost World needs a review. Be the first to review this app and get the discussion started! Sarah Maribu and the Lost World needs a rating. Be the first to rate this app and get the discussion started!